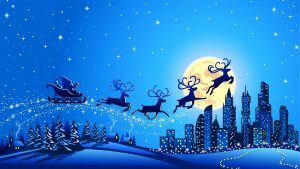 Christmas Event 2018 – Christmas in the City! 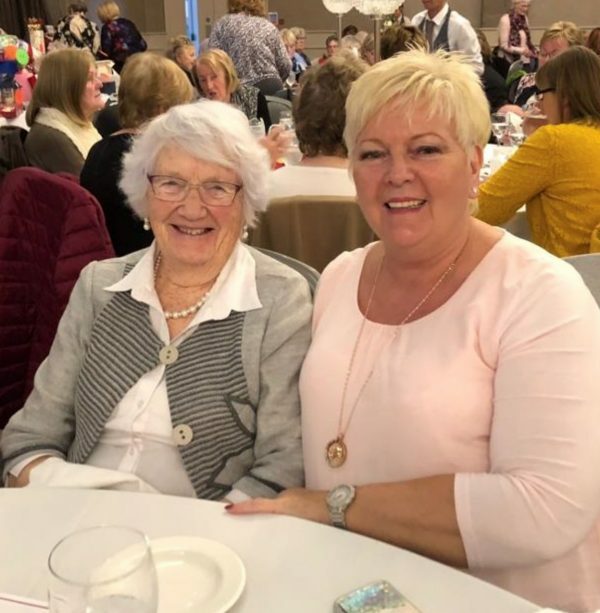 Hundreds of ladies from Institutes across the province descended on the Crowne Plaza Hotel in Belfast on Saturday 3rd November 2018 for the Home and Garden Sub-Committee’s annual Christmas Event. This year’s gathering was entitled ‘Christmas in the City’ and everyone in attendance up in the ‘big smoke’ certainly got into the festive spirit for this special occasion on the WI calendar. An action-packed programme had been organised for the day, including an intriguing jewellery presentation by talented craftswoman Christine Williams, fabulous festive flowers with Rosemary Harrison, and a cookery demonstration by LIDL featuring celebrity chef James Devine from the Great British Menu. A delicious lunch was served and there were plenty of shopping opportunities with a wide variety of stalls to tempt the ladies into starting their Christmas shopping early! 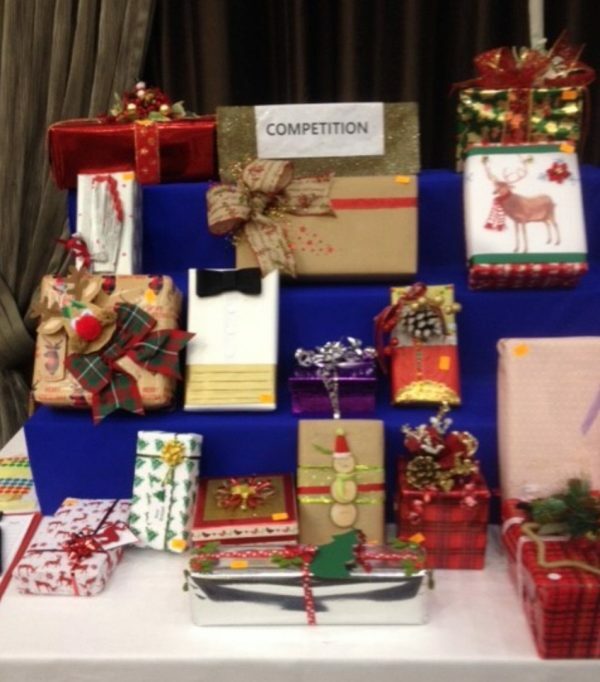 For the Competition at this year’s event, entrants were asked to get creative and produce a gift wrapped Christmas box. There was a good number of entries, with a variety of colourful, seasonal designs and these made a very eye-catching display, drawing lots of admiring glances on the day. 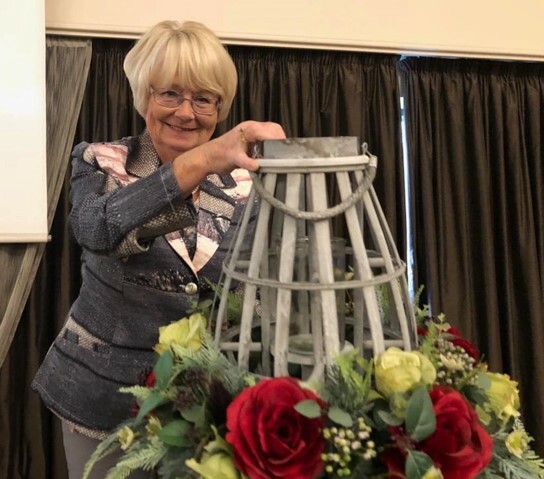 The overall winner of the Competition was Kathleen Moore of Ballievey WI who was awarded the prestigious Romanian Platter. Valerie Hall of Pomeroy WI placed second and Bernie Johnston of Glenanne WI came third. A raffle was also held and there were lots of lucky winners. 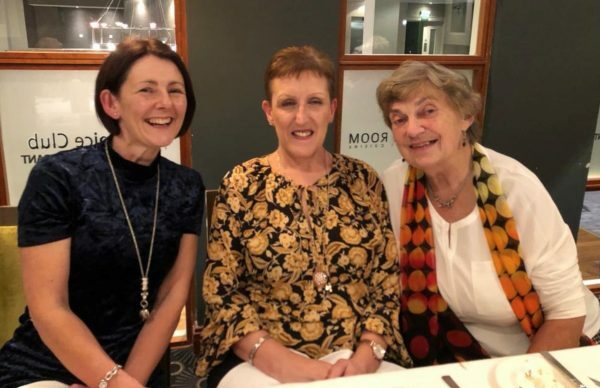 As the day drew to a close, Federation Chairman Collette Craig thanked Home and Garden Sub-Committee Chairman Margaret Kelso and her Committee members for organising such a successful event. 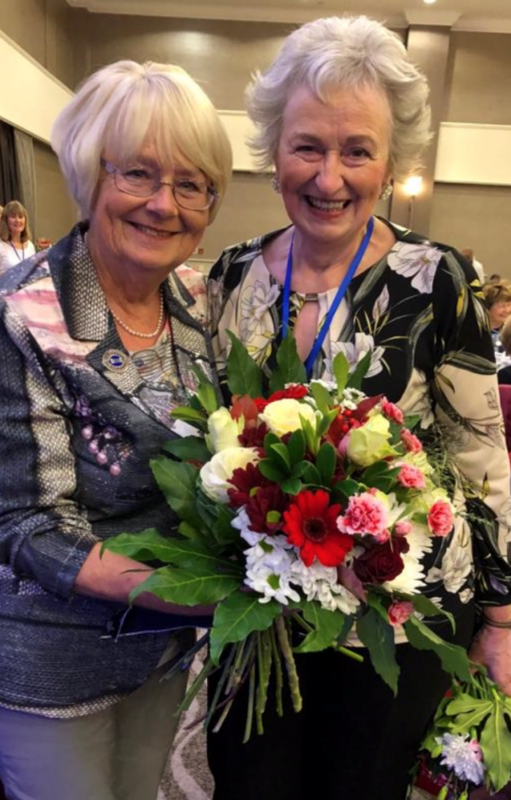 In turn, Margaret Kelso thanked the hotel staff, demonstrators, stall holders, her fellow Committee members and all the WI members and friends who supported this event and helped to make it so enjoyable. It was a brilliant day out! 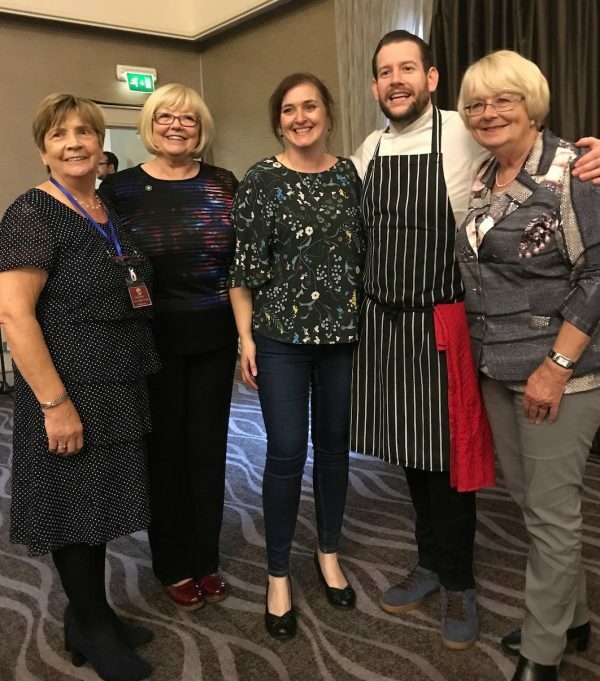 Pictured (L-R) at the Christmas Event: Home and Garden Sub-Committee Chairman Margaret Kelso, Federation Vice-Chairman Edwina Marr, Kathleen Dickey from WI HQ, celebrity chef James Devine and Federation Chairman Collette Craig. 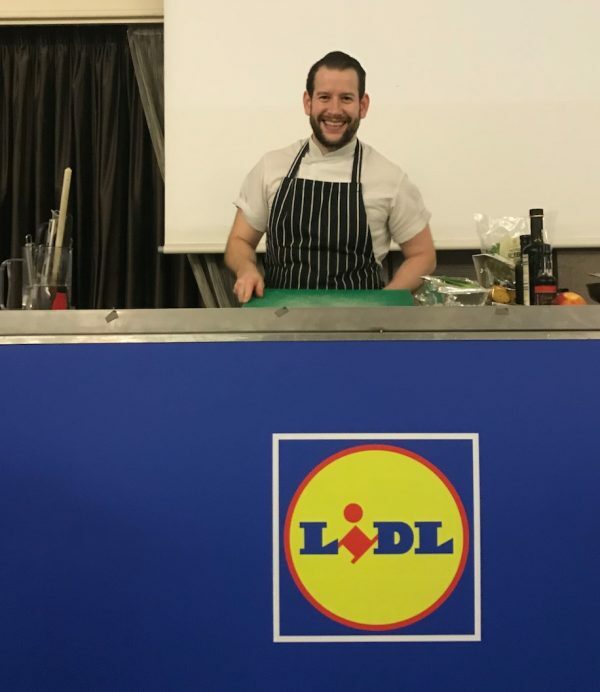 James Devine, of Great British Menu Fame, conducting his cookery demonstration on behalf of LIDL. The colourful display of Competition entries. Floral Art Expert Rosemary Harrison. 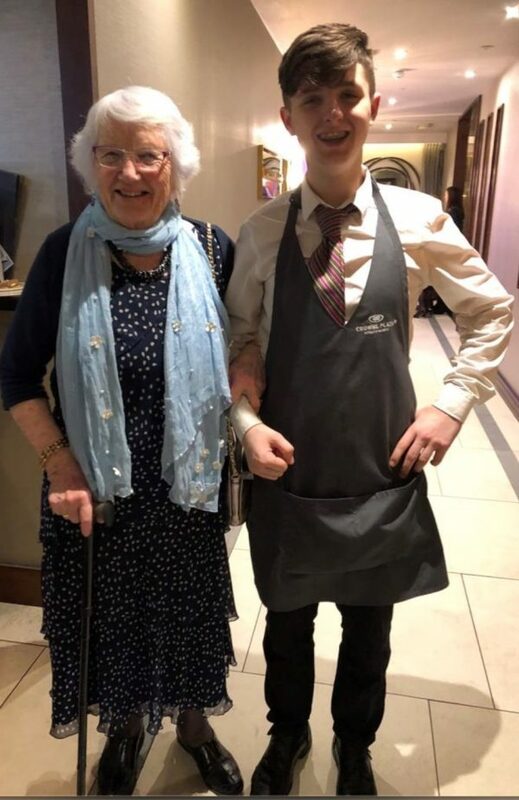 Befriending the staff in the Crowne Plaza! Getting into the festive spirit at the ‘Christmas in the City’ event. Guests having fun at the Christmas Event. Dinner time at the Christmas Event! 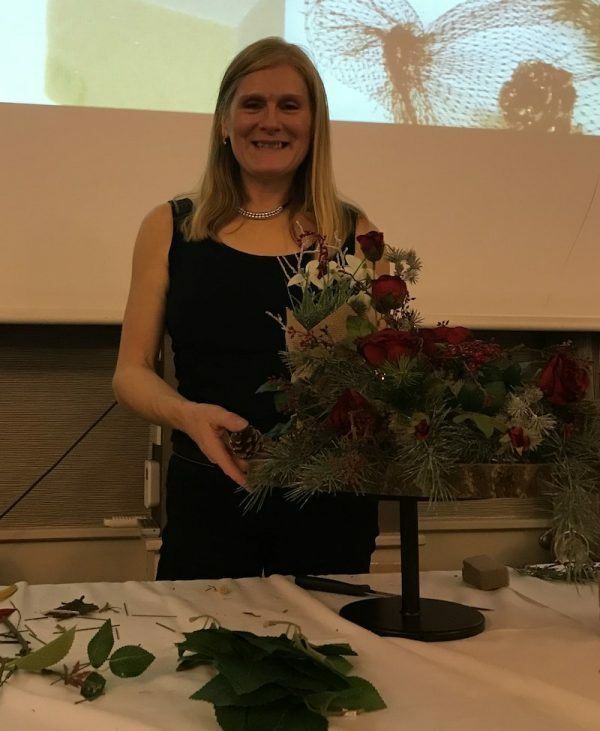 Federation Chairman Collette Craig admiring one of the festive floral art displays at the Christmas Event. 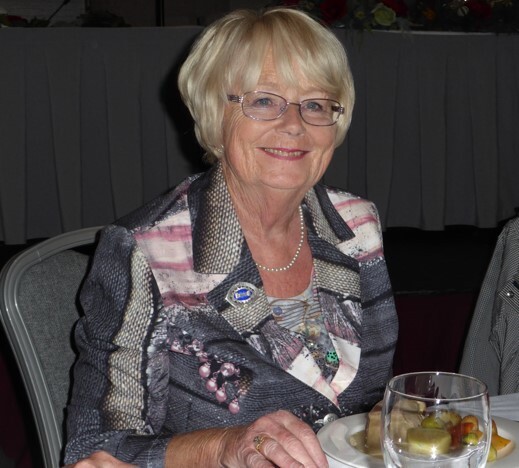 Federation Chairman Collette Craig Honoured with MBE Award!